The first MPSepang fully approved Gated & Guarded Community Scheme in Taman Putra Prima, Phase 8A is entering into the third year of maintenance and up keeping of security and equipments since its establishment in December 2011 by the RA. The entire main entrance including the road kerb, guard-house, wing wall, barricades and road bump were re-painted with high quality Nippon weather-bond, glossy red /white enamel paint and weather resistant sealer. Hibiscus shrubs, perennial plants including the Madagascar rosy periwinkle and royal palm trees are nourished with fertilizers and water regularly to ensure the plants are green, healthy and refreshing all year round. These well blended landscaping amidst lavish greenery and bright red hibiscus blossoms also attracted many “visitors” to our park, the lovely and agile Olive Backed Sunbird is among the most frequently sighted species “visitor” along the main entrance road. En Sharin was appointed as new secretary to Pusat Khidmat Ahli Majlis Zon Taman Mas-Putra Prima to replace the out going secretary En Affandi. He is also the secretary for JPP Zon Taman Mas -Putra Prima. 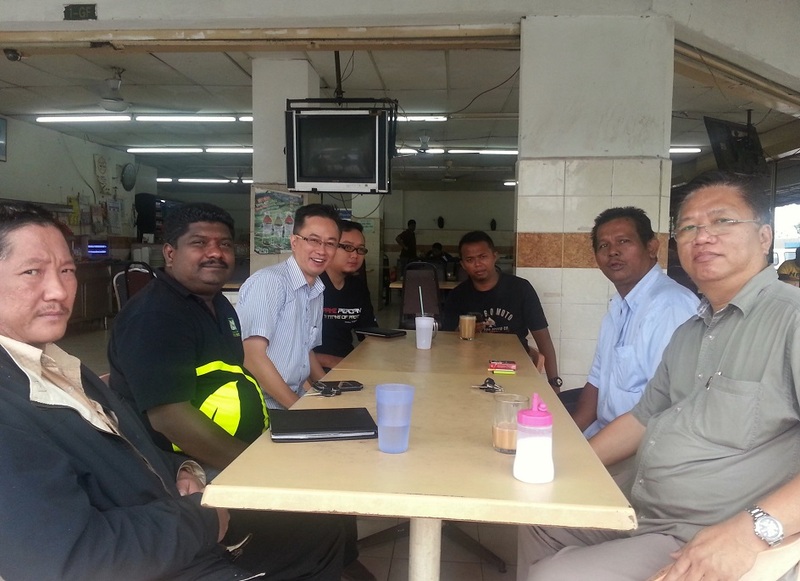 En Sharin was first introduced by Ahli Majlis Mr Pulanthran to the AJK of JPP during a tea session at a restaurant in Taman Mas last Saturday. The Gabungan took the opportunity to extend our gratitude and farewell to Encik affandi and warmest welcome to En Sharin to assume office in our service zone. e) To deal with such other matters as may be put before it. As on the issue of divider fencing and playground, the new committee will look forward to the subsequent 4-Parties meeting to be called by Majlis sometimes in April. The AGM also approved a proposal put forward by the chairman to appoint a book-keeper with provision or monthly allowance to assist the treasurer in keeping all the association account and collection records in placed.